Back in October, Nielsen announced its plan to launch an out-of-home ratings reporting service measuring TV commercial viewing in restaurants, bars, hotels, gyms, airports and other locales. Today, the company announced that the product, named the Nielsen National Out-of-Home Reporting Service, is now ready for use, and ESPN is the service’s first client. ESPN2 will opt in as well. 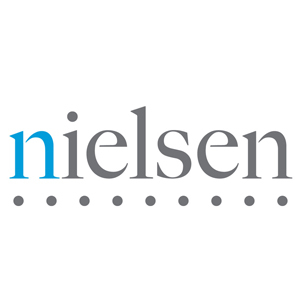 Nielsen will combine the in-home viewing from its National TV ratings panel with the out-of-home viewing captured by its Portable People Meters, which has approximately 77,000 installed panelists. Networks that subscribe to the service will receive individual day data for program and commercial audience estimates delivered on a weekly basis. Will cable news networks follow ESPN’s lead and sign up for the service as well? They probably should. After all, there have been complaints from some networks in the past that the Nielsen ratings system doesn’t accurately capture their audience. Walk into any airport, hotel or restaurant, and there’s a pretty good chance that one of the cable or business news networks is on a television. Those eyeballs haven’t been measured effectively. Now, that may change.